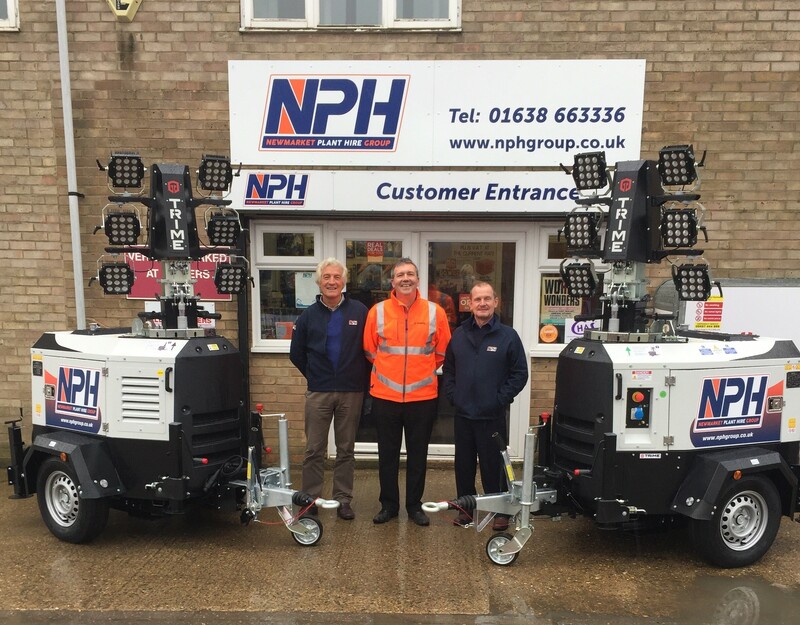 NPH have taken delivery of 12 sets of these new Trime X-Eco Lighting Towers. 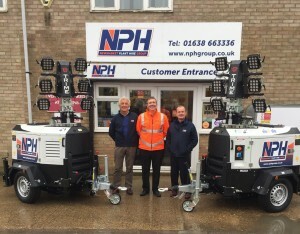 With the darker nights approaching NPH have invested in these environmentally friendly lighting towers from locally based Trime UK Ltd.
Not only are they eco friendly but they are economic to run with a fuel usage of just 0.55 ltrs/hr allowing 200hrs of running on a full tank. The mast extends to 8.5mtr and can be rotated through 340 degrees to position the light just where you need it. There is even a 230v 1.2 Kva outlet available to power external equipment. Contact your local depot for booking your hire or for further details.